In Depth Original Triangle Series with Circle. 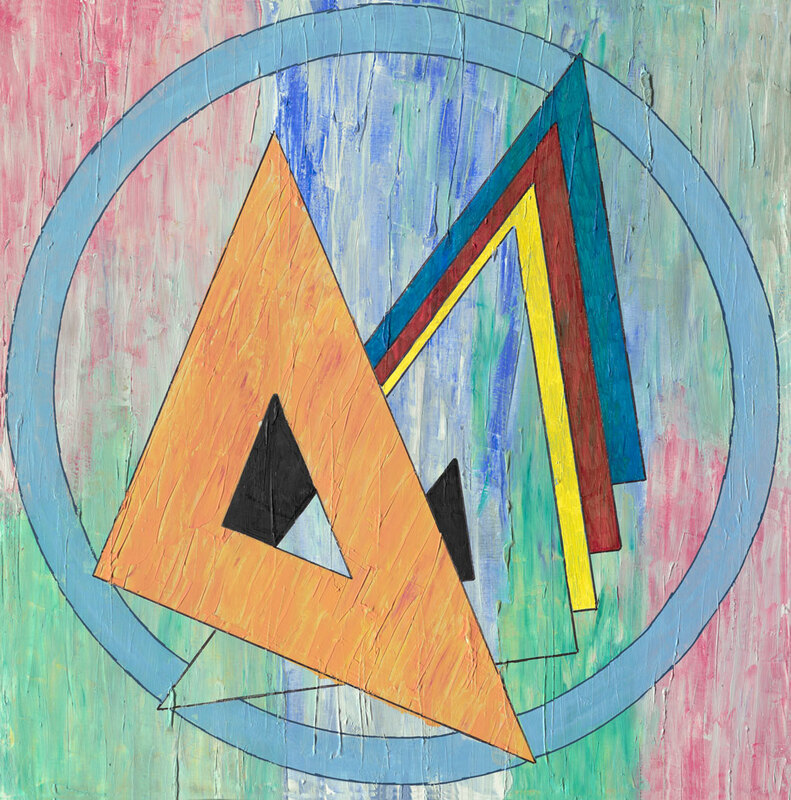 Triangles in Gold and Multi-Colors with Blue Circle. Mixed multi-color background with acrylic paint and spackle paste applied with painting knife on stretched studio canvas.